Halloween is upon us, Bonfire Night is on the horizon which can only mean one thing - Empties time. 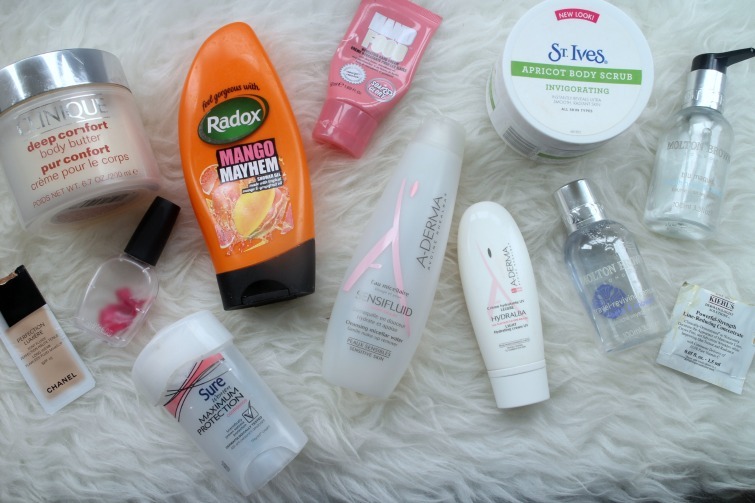 Let's take a look at the products I've used up this month. It's taken me nearly a year to use up this tub of body butter from Clinque and you can find my review here. In short it's thick body lotion which does the job but not a product I enjoyed, hence it taking me so long to get through. Ideal for the colder weather when you want something more heavy duty but if you're a fan of scented products this won't be top of your wish list. I did not like this foundation at all and thankful it was only a sample. I had a couple of these testers but didn't even get to the bottom of the first such was my dislike. It clung to any dry patch of skin I had, and I have little but it exaggerated ones I didn't know existed. Short on time and heading out for the day I grabbed a pack of imPRESS nails to ensure nails looked tip top. After a shaky start if you read this post you will know I'm converted. And if you follow me on Instagram you will know my niece was a fan too! Mentioned countless times on my blog and it no doubt wins the award for most appearances in an empties post. I won't say any more but feel free to take a look at this post if you want to know why I'm a fan. Another brand that is mentioned many times by me is Radox. 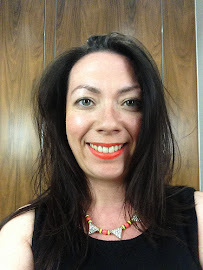 Mango Mayhem featured in my July Favourites post and was the perfect Summer staple. Stay tuned for more Radox goodness coming up soon. Another hand cream bites the dust and I love both the scent and size of this tube of Hand Food from Soap & Glory. A recent trip to Boots to restock on some items meant that the full size of this ended up coming home to me due to a 3 for 2 offer and will now sit on my desk at work. I don't get excited about micellar waters beyond their use for removing make up and stepping in when I'm feeling lazy but I did get excited about the packaging of this product. Compared to L'Oreal and Garnier Micellar Waters which I love to use but struggle with their bottles this was able to perfectly distribute product onto cotton pads without spilling everywhere. That said despite being a good product for the price point I think it's unlikely I'll repurchase as I'm happier with the cheaper brands. I only reviewed this moisturiser from A-DERMA recently in this post so I won't say any more than this is a thumbs up for those who want a lighter product and is perfect for the Summer months. Another reviewed product that you can read about here. There are no complaints from me about the product although it is like cement to remove from the bath if it dries. I liked this product and it worked well for me but I couldn't maintain excitement about it. I would repurchase for it's price point although when pay day hit I treated myself to an old favourite, The Breakfast Scrub from Soap & Glory as if nothing more than the scent lends itself well to the Autumn months. Stay tuned for more Molton Brown Hand Cream empties as I'm just getting to the bottom of another bottle. I swear I've had a collection of Molton Brown hand creams in my possession for years - they just never seem to disappear. One sat in my bathroom and another in my kitchen. When neither of those destinations seemed to aid their completion I took them to work as the pump dispensers make for easy application. I find the formula of Molton Brown hand creams to be rather thin and runny which I don't enjoy and prefer cream than lotion. I wouldn't repurchase again, and certainly not in larger sizes but if you're looking for a product that will last a long time this might be for you. I took this bottle of body wash from Molton Brown to Las Vegas with me as it doubled up as both shower gel and bubble bath. I can't argue with Molton Brown for their range of products but I don't know if it's overuse over the years but they don't excite me like they used to. I would happily repurchase this product and if I received as a gift I wouldn't be disappointed but I'm not sure I'd rush out to replace. I recently stayed over at my brothers and grabbed this sachet to take with me rather than a full size product. I have used this product in the past and didn't quite get the results claimed but I'll happily use in it's sample size when needed. It's so disappointing when such high-end foundation doesn't work! Hopefully it was only a sample. I am glad to know it enhances dry patches as I have a few one as well and was thinking of trying out perfection lumiere. I would rarely by a foundation without trying a sample and as you say in this instance I'm glad I did! Cool post. I like the fluffy rug. It's a blogger cliche the old fluffy rug!! I recently smelled the Soap & Glory Hand Food (no clue what's taken me so long...) and I am obsessed with how good it smells! Will be picking that up soon!